Crisp Live chat is integrated with Shopify. Here is the tutorial to link Crisp with Shopify. 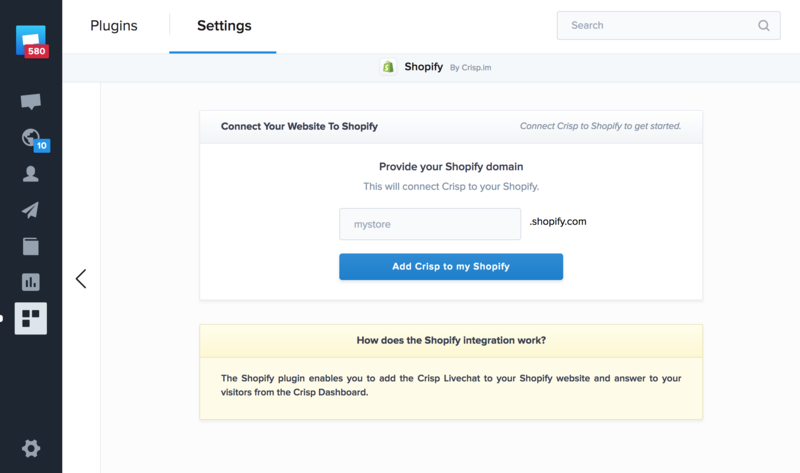 Click on "link with Crisp"
Start using your new live chat on Shopify !